Back in October while Heidi was preparing non-stop for her looming exam, I sneaked away to the Andalusia region of Spain for a weekend. 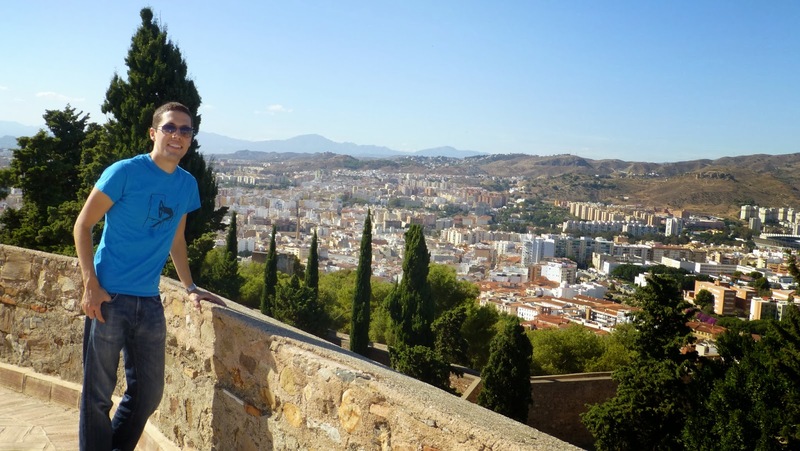 The flight from London to Malaga takes three hours, and when I landed Saturday around noon, I had about 30 hours to work with before returning Sunday evening. This was my first foray into the Western Mediterranean region, and the climate and landscape reminded me a lot of California. Befitting Andalusia's nickname of "El Costa del Sol", it was 80 degrees with abundant sunshine (not bad for late October), so I hit the road in my rented Fiat 500. 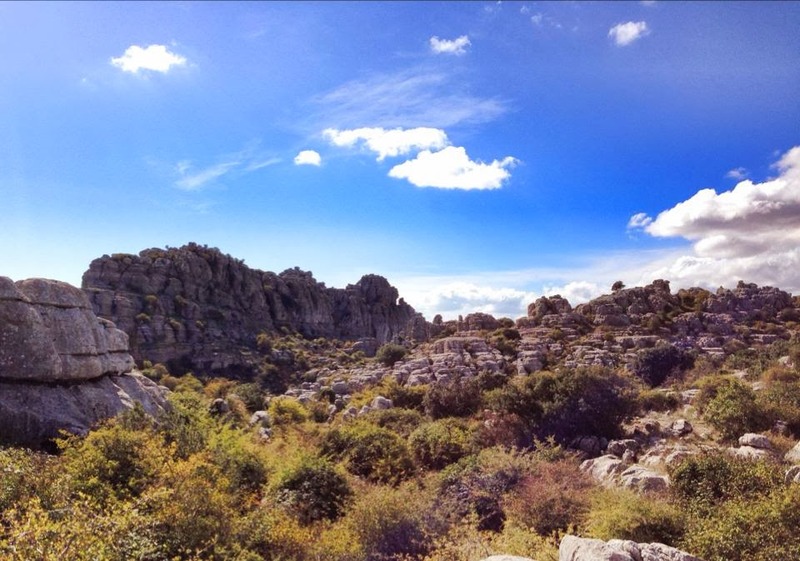 Up the road in the mountaints north of Malaga, I visited a limestone formation called El Torcal de Antequera, which stands out dramatically against the surrounding red dirt hills. There were a few walking trails and plenty of scenic views, and I left after a quick loop of the summit. Still inland, I ventured west and took in the scenery along the windy mountain roads - perhaps a bit too much, as my "rolling stop" at a left-hand turn wasn't good enough for the police officer watching, and I was pulled over! After pleading my case in broken Spanish and showing that I wasn't carrying anything illegal, he let me go without incident. I made it to Ronda just as the sun was setting. 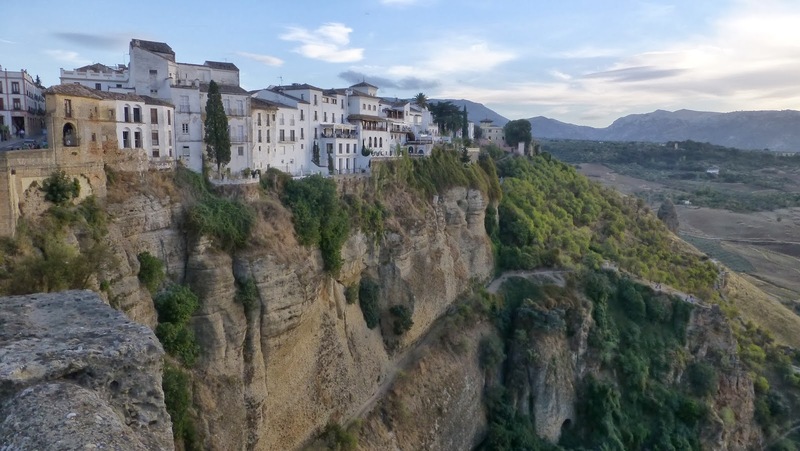 Ronda is quite an interesting place, one that I would definitely considering visiting again. It is home to the oldest bullfighting ring in Spain and feels very laid back with its abundant outdoor cafes and markets. Most interestingly, the town is built on the precipice of a 400 foot gorge. I kept thinking to myself, "why the heck would you build a town here?" After spending the night in the small town of Benahavis, I worked my way back up the Mediterranean Coast, starting in the beach-front resort town of Marbella. 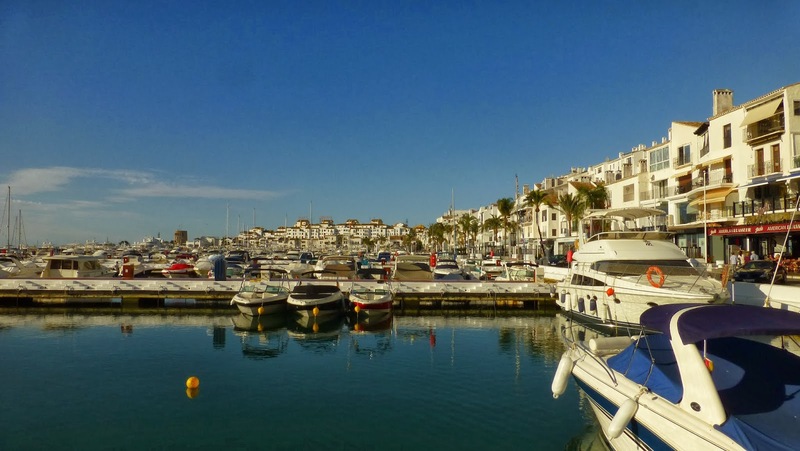 Its main harbor of Puerto Banus is one of the wealthiest areas in Spain, with yachts the size of houses and plenty of nightlife (though at 10am on a Sunday, it was dead). Back in Malaga, I spent my last few hours first checking out the excellent Picasso museum and then venturing up the Gibralfaro for a view of the city and the coastline. 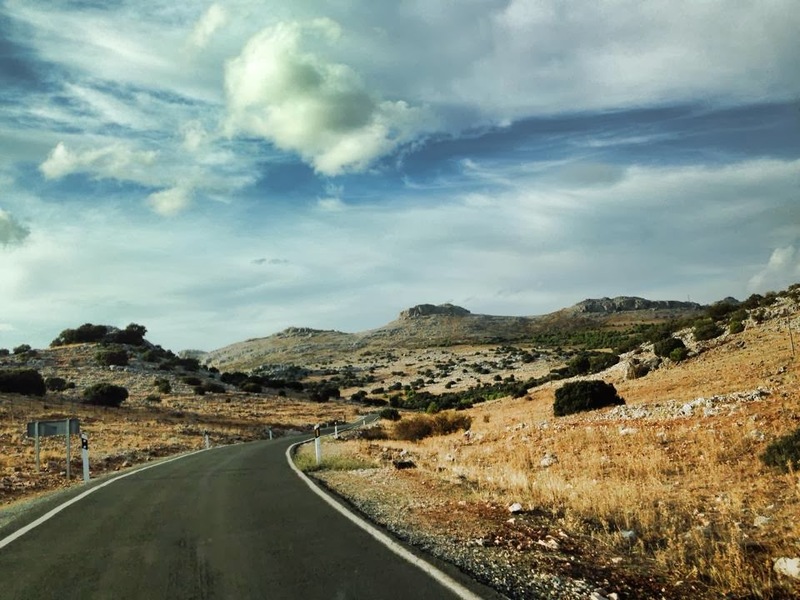 The entire weekend was very enjoyable, and it made me eager to explore not only the other parts of Spain but the rest of the Mediterranean as well. So....what exactly is a taco?? No joke. This was a question posed to Ryan and I at our weekly Tuesday night running club. We met a British person who has never before had the enjoyment of eating a taco. It was quite humorous to hear Ryan trying to explain such a seemingly basic concept: "Well, you have a tortilla, then you put shredded meat on top and you can add various toppings, such as tomatoes, lettuce, cheese, sour cream or guacamole..."
Little did I know that apparently the TV show The Office did a stint during their episode "The Fundraiser" from Season 8 highlighting this little known fact that England is extremely deprived of delicious Mexican food. In the episode, Nellie tries to eat a hard shell taco vertically, instead of turning the taco slanty-ways and taking a bite properly. I'm sure our new acquaintance would have done the same, as he then continued to drill us about the differences between a taco and a burrito (one is much larger than the other, and usually contains beans and rice in addition to the aforementioned goodness). That being said, there are quite a few 'staples' of British cuisine that I have been woefully ignorant of until I arrived here. Scotch eggs, for one, are quite delicious. It's basically a hard boiled egg that is wrapped in Chorizo sausage and then deep-fried. How have we not caught onto this one yet, America?? Then there are Welsh cakes, which are buttery, sugary, almost short-bread cookies but more cake like and thicker. A great treat to have with tea or your morning coffee. Other new found favorites are bubble and squeak, meat pies, mushy peas and the oh so infamous hot crossed buns. Last fall when we returned from Oktoberfest, we were feeling especially indolent and out of shape. Three straight days of liter steins and Bavarian food will do that to you. We agreed that after the New Year we would train for and run a half marathon, and we picked one for April 6 in Madrid. Neither of us have run a marathon or half-marathon, so this is new ground for us. Several years ago we'd participated in the Madison to Chicago 200 mile relay with ten others, but the longest leg of that event was 8 miles. Training through the winter in London isn't as bad as I may have feared. The temperatures never go below freezing, so running outdoors is still viable as long as it's not a torrential downpour. Not helping, England just had its wettest January since 1766! The only major drawback with our neighborhood is that there aren't any sizable parks close by. 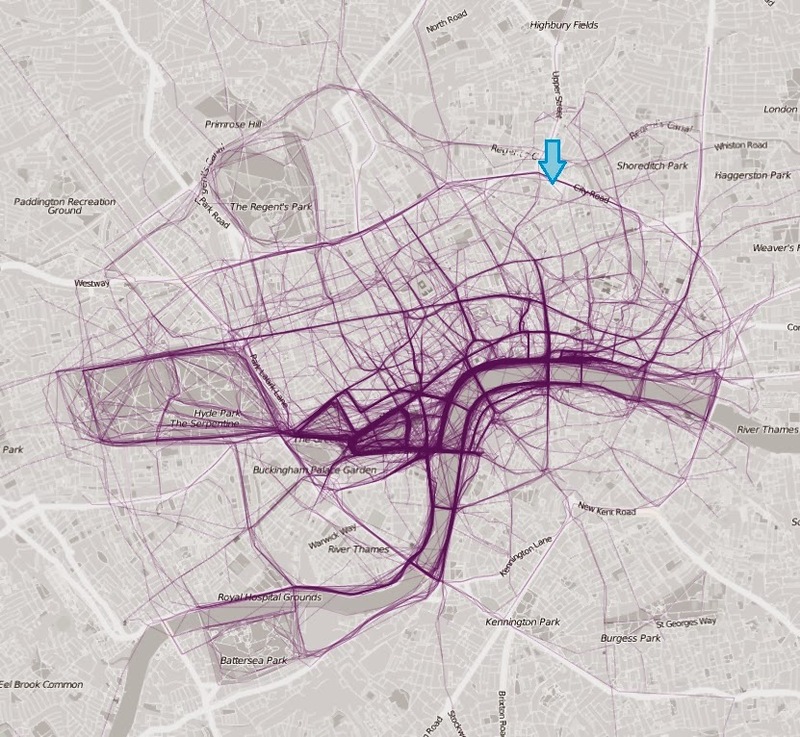 The blue arrow on this map of London's most popular running routes points out our location (notice the absence of popular routes nearby). Regents Park is two miles West, the Thames River Path is a little bit less than two miles South, and getting there involves running through many busy intersections. We joined the Virgin Active gym that is right up the street, and it's also part of a large network allowing us access anywhere across the UK. I took advantage of it when we were in Edinburgh last month. We've also found a great informal group that meets every Tuesday evening, the London City Runners. Usually there are 60-80 people on a given Tuesday, and we run a six kilometer loop starting from Bermondsey, crossing the Thames over the Tower Bridge and following the river path until returning via the Millennium Bridge. And like almost all other British get-togethers, it ends at a pub and people tend to stick around for a couple drinks afterward. Training is going well thus far, and I can feel myself improving each week. This Sunday's task is an 8 mile run, and we'll keep building upwards from there. American Bar or English Pub? I was asked this question the other night by one of my coworkers while grabbing a pint after work. I only hesitated a moment before stating the obvious: English Pub. I did, however, feel the need to explain the reason for my answer. It's not every day that I admit that England can do something better than America can; in fact, I spent most of my days explaining why the US is generally so much better. When it comes to drinking culture though, England is second to none, and here is why. Most of the pubs don't have a tv, and if they do, there is only one. I know. It's shocking. What on earth are people supposed to do without a tv there to entertain them? The simple fact of the matter is that they talk to each other. Instead of staring up at a box with their mouths hanging open, people communicate with each other. They talk about work, families, and friends. They recommend plays or movies to go see and talk about the weather. (Brits LOVE to talk about weather) They also very rarely pull their phone out to check Facebook or Twitter. They prefer to simply enjoy the company around them and consider it to be quite rude if you don't do the same. Now, you may be asking, what do they do when a sporting event is on? Don't they ever want to watch live sports? They actually have a venue for this type of thing, and it's called a sports bar. Sometimes, it's called a casino. But the point is that if you want a venue to watch sports you have the OPTION to go to that type of place. It isn't forced down your throat every time you want to grab a drink with your friends. Admittedly, I am a bit 'behind the times' when it comes to technology and pop culture. I'm not on Twitter or Instagram, and I only have a Pintrest account because my best friend is planning her wedding and Pins ideas on there. It drives me absolutely crazy when I go to a coffee bar with a friend and the first thing they do is log onto the free Wi-Fi. Maybe that's why I like English Pubs better. Because they are behind the times too in terms of technology (ahem, warm beer). But there is definitely something to be said for leaving that all behind and just enjoying the company of those around you, whoever they may be.